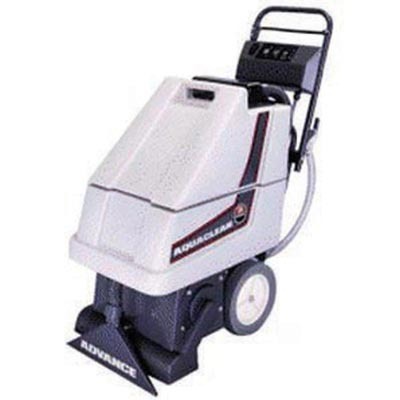 The NILFISK AQUACLEAN 15 is an electric powered carpet extractor. This unit is compact and narrow allowing it to fit into smaller hallways and aisles. The unit dispenses the solution and vacuums up the dirt in one pass, increasing productivity. The NILFISK ASQUACLEAN 15 has polyethylene solution and recovery tanks preventing dents and corrosion as well as one-touch controls making operation simple and easy.